You may have been there. 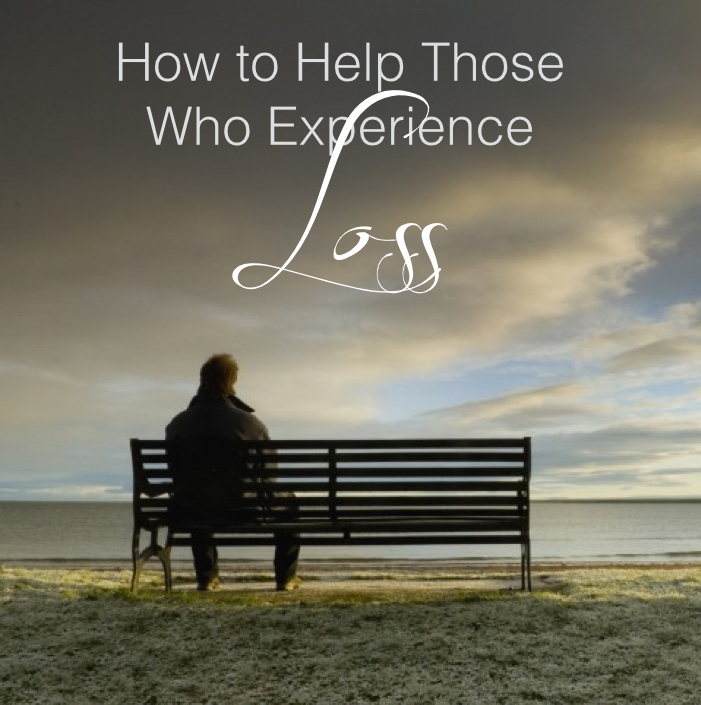 Someone close to you loses a loved one and you find yourself in that situation of wanting to help but not knowing how. Recently, someone in the ToddStocker.com community asked me what to do when his cousin died at a young age and was wanting to console her parents. Given that I’ve been on the other side of it [read here], I offered this simple advice. I’m sorry to hear about the loss of your cousin. There are lots of emotions and questions when someone like my daughter/your cousin dies at a young age. First, the biggest help is to be present, whatever that looks like in your context. Physical presence is best but just letting the family know you are there speaks volumes. There is an old Jewish tradition called “Sitting Shiva.” Basically, you simply be there and sometimes use words. Second — if you are going to say anything — speak real encouragements. Avoid the cliche’s like “she’s in a better place” or “God must’ve wanted another angel.” Gag! Not helpful at all. Simply, “I love you guys,” or “How can I help?” are perfect. During grief, it’s best to just listen and acknowledge their pain [tweet this]. Third, I don’t know how close you were to your cousin but asking the family questions about her life is super helpful. We love to talk about our loved ones even if it means landing in puddles of tears. The recalling of her life is part of the celebration of it and it is actually healing for the family. Fourth, resources. Many people have mentioned how my books have helped. “Dancing with God” and “Refined: Turning Pain into Purpose” are the two that came from Makenzie’s home-going. Henry Nouwen’s “Turn My Mourning into Dancing ” is wonderful as it points to the rock solid presence of God in tough times.